We have two interesting Distinguished Lectures coming up on 29 and 30 August. All are welcome to attend! There are no registration requirements. Please forward to anyone that you think might be interested. First, furthering the seminars series by the prestigious speaker and IEEE VTS Distinguished Lecturer Prof. Mohamed-Slim Alouini, he will be talking on the topic of light propagation for underwater wireless communications on 29 August, at 2pm, at Warwick University. A Handout for the seminar is here. Title: Collimated light propagation: The next frontier in underwater wireless communication. This lecture will be in room A401 in the Engineering Building. 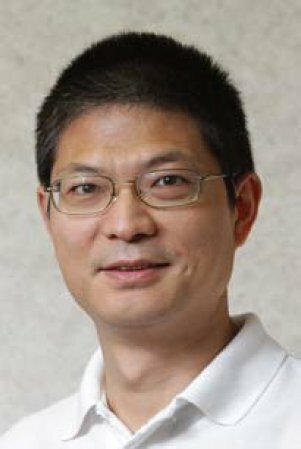 Second, the esteemed Distinguished Lecturer Prof. Geoffrey Li, GeorgiaTech, will be speaking on deep learning for physical layer communications. The lecture will be at 11am in the Barlow Room, 8th floor of Roberts Building (see here and here). Title: Deep Learning in Physical Layer Communications. Abstract: Recent research has demonstrated that machine learning (DL) has great potentials to break the bottleneck of communication systems. This presentation introduces our recent work in DL in physical layer communications. DL can improve the performance of each individual (traditional) module in communication systems or optimize the whole transmitter or receiver. Therefore, we can categorize the applications of DL in physical layer communications into with and without block processing structures. For DL based communication systems with block structures, we present a couple of examples in channel estimation and signal detection. For those without block structures, we provide our recent endeavors in developing end-to-end learning communication systems. At the end of the talk, we discuss some potential research directions in the area. Biography: Dr. Geoffrey Li is a Professor with the School of Electrical and Computer Engineering at Georgia Institute of Technology. He was with AT&T Labs – Research for five years before joining Georgia Tech in 2000. His general research interests include wireless communications and statistical signal processing. In these areas, he has published over 400 referred journal and conference papers in addition to over 40 granted patents. His publications have been cited by over 32,000 times and he has been listed as the World’s Most Influential Scientific Mind, also known as a Highly-Cited Researcher, by Thomson Reuters almost every year. He has been an IEEE Fellow since 2006. He received 2010 IEEE ComSoc Stephen O. Rice Prize Paper Award, 2013 IEEE VTS James Evans Avant Garde Award, 2014 IEEE VTS Jack Neubauer Memorial Award, 2017 IEEE ComSoc Award for Advances in Communication, and 2017 IEEE SPS Donald G. Fink Overview Paper Award. He also won the 2015 Distinguished Faculty Achievement Award from the School of Electrical and Computer Engineering, Georgia Tech. Note that these events are free to attend, and registration is not required. The IEEE UK and Ireland VTS Chapter is holding a Seminars Series at King’s College on 2 July 2018. The first Seminar will be given by Dr. Aylin Yener, from Pennslyvania State University, on the topic of “Foundations of Energy Harvesting and Energy Cooperating Communications”, starting at 11am. The second seminar will be given by Dr. Jonathan Scarlett from the National University of Singapore, on the topic of “Information-Theoretic Limits for Inference, Learning, and Optimization”, starting at noon. Note that COMPLIMENTARY registration by the end of Friday this week is *required* at this link. The IEEE UK and Ireland VTS Chapter is supporting the IEEE 5G Summit Glasgow, taking place on 14 May at the University of Strathclyde, Glasgow. This event will be at the leading edge of a 5G technologies, providing coverage of some of the most groundbreaking technical aspects and capabilities of 5G, and some particular usage scenarios such as IoT and enhancing rural connectivity. The Agenda, which is currently developing, is available here. The IEEE VTS UK and Ireland Chapter is supporting the 3rd Biennial International Conference on Powertrain Modelling and Control (PMC 2016, www.pmc2016.net), taking place in Loughborough on the 7-9 September 2016. On behalf of the 5G-PPP 5G NORMA EU Project (5g-ppp.eu/5g-norma), we are pleased to invite you to attend the 5G NORMA 2016 Summer School that will be held at King’s College London, in London, UK from June 20 – 22, 2016. The Summer School is tailored towards engineers and researchers active or interested in virtualized and programmable future mobile networks. The first day is tailored more towards attendees from industry, whereas the last two days are more suitable for Post Doctoral researchers, PhD and Master students. All together, the event is deemed highly suitable for participants from the mobile industry and other organizations (verticals) interested in the area of 5G networks and how this emerging technology can shape their business. Registration using the above link is REQUIRED, although there is no fee for registering and attending the event. More information on this Summer School can be obtained from the flyer and agenda at this link. Access instructions to the lecture theatre in which the Summer School will be held are at this link. Note that this Summer School is supported by the IEEE VTS UK and Ireland Chapter, and the IEEE ComSoc UK and Ireland Chapter. Note, this lecture will be held in the “Queen’s Building”, Room 1.15. Travel/location information is available here and (a close-up, printable campus map) here. Note, this lecture will be held in the “King’s Building” of King’s College London Strand Campus, Room K3.11. Travel/location information is available here (see building “A” in the lower-most map on this link) and here. Note, the best entrance to use for the King’s College Strand Campus is the one on the South side of the Strand, some 70 m West of the junction with Surrey Street. Internal maps of the Strand Campus are available here. Note that K3.11 is on the third floor. Rooms in King’s ancient and esteemed King’s Building are notoriously difficult to find – please pay careful attention to the maps and the access to the third floor and K3.11 from the second floor. This lecture will be held in room P/L002 of the Physics/Electronics building. Travel/location information is available here. Further, there will be refreshments available to registered attendees from 12.45pm in the concourse area of the Physics/Electronics Exhibition Centre. This is outside room PT007. The lecture will be held in the Kings Buildings campus, James Clerk Maxwell Building (JCMB), Lecture Theatre C. For travel to the Kings Buildings via car or taxi: Enter gate 4 on Mayfield Road. Parking is available in front of the AGB Building, or follow the road from gate 4 to the left and then take the first right to parking (in front on the main entrance to the JCMB). Lecture Theatre C can be reached from both the 2nd and 3rd floor of the JCMB Building. Further location information for the JCMB is available here and here. Abstract: The ongoing explosive increase in the demand for video content in wireless networks requires new architectures to increase capacity without excessive costs. The talk will present a new architecture for solving this problem, exploiting a special feature of video viewing, namely asynchronous reuse. The approach is based on (i) distributed caching of the content in femto-basestations with small or non-existing backhaul capacity but with considerable storage space, called helper nodes, and/or (ii) usage of the wireless terminals themselves as caching helpers, which can distribute video through device-to-device communications. The talk will discuss the fundamental principles, scaling laws for the throughput, as well as practical implementation considerations. The new architecture can improve video throughput by one to two orders-of-magnitude. Abstract: Massive MIMO has drawn great attention in the past years, as it promises a dramatic increase in the capacity of multi-user systems, while at the same time simplifying receiver algorithms. However, there are also significant practical challenger, like the cost related to a massive number of RF chains, so that ingenious new algorithms are required for retaining performance while keeping complexity under control. Many of the algorithms are analyzed with very simplified channel models, and it is not immediately obvious whether performance can be retained in more realistic settings. The current talk will first give an overview of channel measurements and modeling specifically for the massive MIMO scenarios. We will then describe a simplified algorithm, called JSDM, that is based on RF preprocessing, and analyze how realistic propagation conditions impact its performance, and how it can be modified to adapt to such conditions. Andreas F. Molisch is a Professor of Electrical Engineering and Director of the Communication Sciences Institute at the University of Southern California, Los Angeles. His current research interests are the measurement and modeling of mobile radio channels, ultra-wideband communications and localization, cooperative communications,multiple-input–multiple-output systems, wireless systems for healthcare, and novel cellular architectures. He has published 4 books, 16 book chapters, 170 journal papers, 250 conference papers, as well as 80 patents, and 70 standards contributions. He is a Fellow of the IEEE, Fellow of the AAAS, Fellow of the IET, an IEEE Distinguished Lecturer, and a member of the Austrian Academy of Sciences. He has received numerous awards, most recently the Donald Fink Prize of the IEEE, and the Eric Sumner Award of the IEEE. We look forward to your attendance to these lectures! Note that attendance will be free of charge. More detail will be announced in the near future, including aspects such as travel information, and possible (free) registration requirements, among others. We are delighted to inform that our VTS chapter has been contributing significantly to the organisation of IEEE ICC 2015, held in London on the 8-12 June, at ExCeL London (http://icc2015.ieee-icc.org). Our chapter is supporting the conference. Your attendance of ICC is encouraged, although note that you must register (paid registration) to attend here: http://icc2015.ieee-icc.org/registration. The IEEE VTS-UKRI is hosting a Mini-Workshop and Distinguished Lecture on the 7 November 2014 at King’s College London. The event is free for all to attend. The topic is on vehicle-to-vehicle and machine-to-machine communications, moreover, aspects of the event aim to take a look at some interesting areas of overlap of such areas, e.g., the latency challenges that exist both in vehicle-to-vehicle communications and some aspects of machine-to-machine communications (such as the tactile internet), and some common ways forward including the use of opportunistic spectrum access to realise these communication scenarios. The event will conclude with a discussion panel allowing the audience to interact with the experts and pose questions and suggestions on these technologies. The programme for the event is as follows. Taking place at 6:30 pm in the JSB lecture theatre, University of Bradford, Richmond Road, Bradford, BD7 1DP, UK. The IEEE VTS-UKRI will be hosting a Distinguished Lecture on the 19 November at the University of Bradford, UK. The event will be free for all to attend. More information will be provided in the near future. The Abstract for the talk is as follows. “The living film covering the surface of planet earth is delicately balanced. The conditions for life are created by life. These conditions are systems and feedback mechanisms that are poorly understood. We lack engineering systems to properly manage our energy and materials productivity at the planetary scale. This is resulting in environmental impacts, such as biodiversity loss, pollution, and climate change. The solution is a new way of thinking and new technologies that I refer to as Sustainable Energy Engineering. Professor Mark Ehsani is the co-author of over 350 publications, 17 books, over 20 US and EU patents on energy and power production and utilization, and has given numerous international seminars and short courses. He has been a consultant to over 60 international companies and government agencies. This event is kindly organised by Dr. John L. Victory, the University Bradford, UK. The IEEE VTS-UKRI is supporting the ICT-ACROPOLIS 3rd Annual Workshop and Industry Panel on “Advanced Coexistence Technologies for Radio Resource Usage Optimisation”, scheduled to occur at King’s College London on the days immediately following IEEE PIMRC 2013: from 9.00am on the 12 September to 5.30pm on the 13 September. All VTS members in the UK & RI are welcome to join, for free! Coffee breaks and light lunches will be provided by the meeting host. A Workshop highlighting further detailed research within ACROPOLIS, including prominent results and outcomes, observations, etc. Christophe Le Martret, Thales Expert of Thales Communications & Security, France. It will also include a highly-interactive panel discussion. The Workshop will take place for the duration of the 13 September, comprising some 15-20 papers/presentations on ACROPOLIS research. Attendees to the event must register at the following link. Note that the event is a full two-days long. Attendees are welcome to attend less than the full duration of the event if they wish due to their schedule requirements, although must email the event organiser, oliver.holland@kcl.ac.uk, if they intend to attend less than the full duration. This assists event planning purposes. The event will be held in K6.29 the “Old Anatomy Lecture Theatre”, King’s Building, Strand Campus, on the 12 September, and S-2.18 (note that is “minus 2”!) the “Lucas Lecture Theatre”, Strand Building, Strand Campus, on the 13 September. Information on access to and navigation around the Strand Campus is available here. Note that live (updated) information on the event will be provided at this link. We have the pleasure of announcing that the IEEE VTS-UKRI Chapter will hold a meeting on the 19 April at the University of Surrey, Guildford, UK. This meeting is very much in collaboration with European Wireless 2013, www.ew2013.org, which is taking place at the University of Surrey on the previous three days. The topic of the meeting is “Physical Layer Techniques for 5G Wireless Access Networks”, under which a guest lecture will be given by Dr. Tadashi Matsumoto, of the Japan Advanced Institute of Science and Technology. Various other lectures and discussions on this topic will also be held, as well as social activities taking place. Information on the University of Surrey, including travel directions, can be found at this link: www.surrey.ac.uk, or at the European Wireless event’s web site: www.ew2013.org. Detail on the precise room for the event and location within the University of Surrey will follow shortly. 11.30am: Open discussion “What is 5G, and what Physical Layer Capabilities should it Involve”? The VTS-UKRI will be supporting a seminar by Prof. H. Vincent Poor, Princeton University, USA, on the topic of “Games, Privacy and Distributed Algorithms for the Smart Grid”, to be held at King’s College London, Strand, London WC2R 2LS, at 3pm on Wednesday the 10 October. The room will be S-2.08 (that is “S minus 2”, not “S 2”, i.e., the location of the room is in the 2nd basement of the “Strand Building”of King’s College London’s Strand Campus). Smart grid involves the imposition of an advanced cyber layer atop the physical layer of the electricity grid in order to improve the efficiency and lower the cost of power use and distribution, and to allow for the effective integration of variable energy sources and storage modes into the grid. This cyber-physical setting motivates the application of many techniques from the information and systems sciences to problems arising in the electricity grid, and considerable research effort has been devoted to such application in recent years. This talk will describe recent work on three aspects of this problem: applications of game theory to smart grid design; characterization of the fundamental tradeoff between privacy and utility of information sources arising in the grid; and the design of distributed algorithms for inference and control that are suitable for the topological constraints imposed by the structure of the grid. H. Vincent Poor is the Michael Henry Strater University Professor at Princeton University, where he is also the Dean of Engineering and Applied Science. His research interests are primarily in the areas of stochastic analysis, statistical signal processing, and information theory, and their applications in various fields, including wireless networking, social networks and smart grid. Among his publications in these areas is the recent book Smart Grid Communications and Networking (Cambridge, 2012). He a member of the U.S. National Academy of Engineering and the U.S. National Academy of Sciences, and a Fellow of the IEEE, the American Academy of Arts and Sciences, and the Royal Academy of Engineering of the U.K. He received a Guggenheim Fellowship in 2002, and the IEEE Education Medal in 2005. Recent recognition of his work includes the 2010 IET Ambrose Fleming Medal, the 2011 IEEE Eric E. Sumner Award, and honorary doctorates from Aalborg University, the Hong Kong University of Science and Technology and the University of Edinburgh. Thanks to everyone who responded to our request for suggested locations for the next VTS-UKRI Chapter meeting. July 2012 marks the 50th anniversary of the founding of IEEE in the UK and Rep. of Ireland. We are delighted to announce that VTS-UKRI will hold a meeting at Trinity College Dublin on July 26. The focus of this meeting will be on the capacity challenges facing the wireless and mobile communications industry and the use of solutions such as cognitive radio and dynamic spectrum access to alleviate those challenges. The programme will feature invited lectures from two esteemed IEEE VTS distinguished lecturers; Prof. David Goodman of the Polytechnic Institute of New York University and Prof. Alex Wyglinski from Worcester Polytechnic Institute. We are also planning a tour of Trinity College, the Book of Kells, and the Old Library. Coffee/tea and a light lunch will be provided. Meeting location – CTVR / The Telecommunications Research Centre : corner of Westland Row and Fenian Street, Dublin 2. David Goodman is Professor Emeritus at Polytechnic Institute of NYU where until 2008 he was a professor of Electrical and Computer Engineering and the director of the Wireless Internet Center for Advanced Technology (WICAT). Before joining NYU-Poly in 1999, he was at Rutgers, where he was the founding director of the Wireless Information Networks Laboratory (WINLAB). Prior to this he was the head of the Radio Research Department at Bell Labs, Crawford Hill. He earned a Bachelor’s degree at Rensselaer, Master’s at NYU and Ph. D. (Imperial College, London). Dr. Goodman is a member of the National Academy of Engineering and a foreign member of the Royal Academy of Engineering, a Life Fellow of the IEEE and a Fellow of the Institution of Engineering and Technology. He is a member of the LMAG of the IEEE NY Section. Dr. Alexander M. Wyglinski is internationally recognized as an expert in the field of wireless communications, specializing in cognitive and software-defined radio, cyber-physical systems and security, and wireless system optimization and adaptation. He is an Associate Professor of Electrical and Computer Engineering at Worcester Polytechnic Institute (WPI), Worcester, MA, Director of the Wireless Innovation Laboratory (WI Lab), and Director of the WPI Limerick (Ireland) Project Center. Throughout his academic career, Dr. Wyglinski has published 30 journal papers, 73 conference papers, 9 book chapters, and the first-ever textbook on cognitive radio communications and networks (Academic Press, December 2009). Dr. Wyglinski’s research activities have been or are currently being sponsored by organizations such as the Defense Advanced Research Projects Agency, the Naval Research Laboratory, the Office of Naval Research, the Air Force Research Laboratory – Space Vehicles Directorate, The Mathworks, Toyota InfoTechnology Center U.S.A., and the National Science Foundation. Dr. Wyglinski is a Senior Member of the IEEE, a member of Sigma Xi and Eta Kappa Nu, and a Distinguished Lecturer for the IEEE Vehicular Technology Society (July 2012 – June 2014). Location: University College Cork (UCC), Rep. of Ireland. We would like to invite you to the inaugural VTS UK&RI chapter meeting. This meeting is being kindly hosted by UCC as part of the Irish Transport Research Network (ITRN) Conference 2011. The IEEE VTS UK&RI Chapter meeting is a free event. Register your attendance on the main ITRN 2011 registration page by selecting the IEEE Vehicular Technology Society Pre-Conference Event . Tea/coffee and a hot lunch will be provided free of charge for participants also. Please note: If you wish to also attend the main ITRN 2011 conference, a registration fee applies. Please visit the ITRN registration site for information.